Our ultimate goal as real estate professionals is to create a smooth and enjoyable buying or selling experience for you, where your goals are met in a timely fashion. We begin by familiarizing you with the process which eases the stress and confusion associated with a real estate transaction. 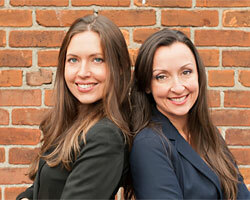 Later we utilize our extensive market knowledge and expertise to guide you in negotiations. From our first meeting to the day we accomplish your real estate objective, you will feel comfortable and confident throughout. Naomi began her real estate career in 2005 when she seized the opportunity to work as a Licensed Real Estate Associate in a busy team of REALTOR®s. This apprenticeship provided her invaluable knowledge and experience in helping both buyers and sellers navigate the busy 2005-2007 market. Their award winning team had the #1 real estate website in Victoria, and the two agents she worked under had a total of 38 years of experience. Naomi gained a vast amount of expertise working with a diverse array of clientele - from local first time buyers to experienced out-of-town investors. From acreages to condos, heritage properties to pre-construction sales, assisting with the sale of all types of properties allowed Naomi to fast-track her skills in providing service and results. In 2007 she started to grow her own successful real estate business. By 2010 Naomi was the #1 Agent in her office and also achieved the highest award level possible with the Victoria Real Estate Board and won a Director’s Platinum sales award from her brokerage. Naomi had the absolute privilege of growing up on beautiful Vancouver Island, just 45 minutes North of Victoria in Mill Bay. She also spent time living on the Sunshine Coast, in Vancouver and in Ottawa, where she completed her B.A. in Psychology. Naomi has chosen to hang her license at Pemberton Holmes as it is a well respected, local and family friendly brokerage. Exemplary for its responsive and expert managing brokers and professional support staff, Pemberton Holmes is the oldest real estate company still in operation in North America and the largest on Vancouver Island! She is now part of the new Pemberton Holmes Westshore office. Since 2006 Naomi has lived in the Colwood / Metchosin area, enjoying the fabulous walking trails and beaches. Her two children now both attend Westmont Montessori School where Naomi serves as PAC President and on the Board of Directors. Veronica entered the real estate profession in 2011 and quickly established herself in the real estate community of Victoria winning the Best New Agent award in her first year at Pemberton Holmes. She has since earned MLS awards every year for her sales success! She is very involved in REALTOR® networking opportunities and has served on a number of committees at the Victoria Real Estate Board. Her relationships with other agents have proven to be a huge asset to her clientele both in terms of her professional knowledge and negotiation ability. Veronica and her family live in Saanich where her daughter attends high school. In her free time, Veronica enjoys hiking, fitness and boating. 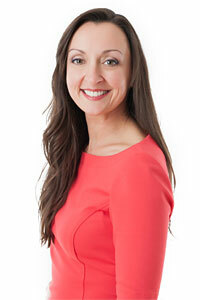 Specializing in Victoria's core, Veronica works out of the RE/MAX Camosun Oak Bay office. RE/MAX Camosun is a company with over 30 years of tradition, sales performance, and professionalism. This brokerage has been awarded the Broker of the Year Award by RE/MAX International and RE/MAX of Western Canada, and named the top producing RE/MAX office in British Columbia. Having agents at two different brokerages working together provides only benefits to buyers, and especially sellers. Exposure for listings at two offices, online and within two networking circles plus guidance from two managing broker teams provides dynamic support and multiplies the chances of a successful transaction.